Welcome to the Home of the Great Bay Stewards! The Great Bay Stewards is a New Hampshire non-profit whose mission is the long-term protection and conservation of the Great Bay estuarine system by supporting education, land protection, research and stewardship of Great Bay. Learn More about our mission and what we do. The Great Bay Reserve is part of the Great Bay Estuary, a complex embayment and New Hampshire’s largest estuarine system. 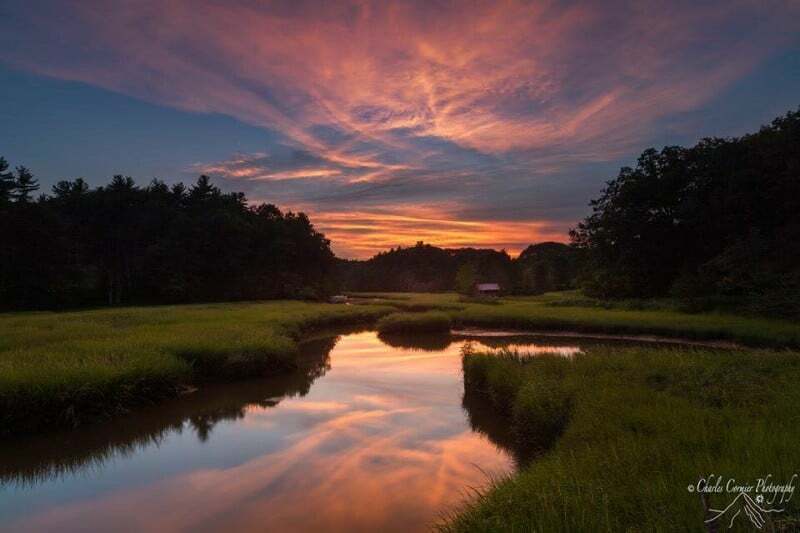 Fed by the tidal waters of the Piscataqua River that forms the boundary between Maine and New Hampshire, the estuary offers a variety of diverse habitats including eelgrass beds, mudflats, salt marsh, rocky intertidal, and upland forest and fields. The Reserve begins at the General Sullivan Bridge at Dover Point, seven miles from the mouth of the Piscataqua River and the Gulf of Maine. The Reserve encompasses 10,235 acres, including approximately 7,300 acres of open water and wetlands. All of Great Bay and Little Bay are contained within the Reserve boundary as well as the tidal portions of five major river systems – Bellamy, Oyster, Lamprey, Squamscott and Winnicut. Great Bay’s cultural history is equally diverse, from paleo-Indian villages 6,000 years ago to early colonial settlements and industrial development. The effort to save Great Bay began in the face of a proposed oil refinery by Aristotle Onassis in 1973. The project was defeated by overwhelming public opposition. Today, people continue to be concerned with the long-term protection of Great Bay so future generations can discover and enjoy its natural resources. The Great Bay 5K is an annual fundraiser for the Great Bay Stewards, in support of the Great Bay National Estuarine Research Reserve and the Great Bay Discovery Center. The Great Bay National Estuarine Research Reserve (GBNERR) is part of a national network of protected areas and promotes long-term research, education and stewardship throughout the Great Bay estuary and is supported by the Great Bay Stewards, a non-profit friends group. 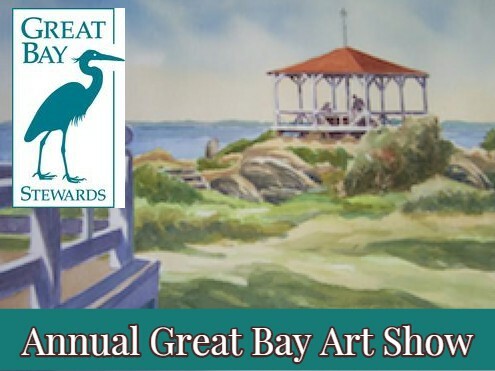 Each year, the Great Bay Stewards hosts an annual Art Show with proceeds supporting the Great Bay. Check out this Video footage of the Great Bay Reserve on NH Chronicle! Help us to conserve this important resource. Support or Become a Member of the Great Bay Stewards Today!